Sennheiser dials in the bass with new over-ear headphones | What Hi-Fi? 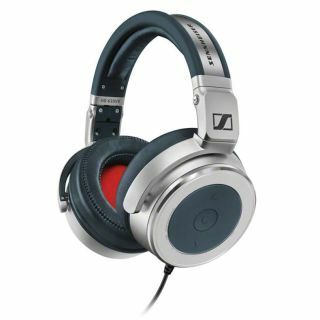 Sennheiser's newest headphones are a closed-back design made from "sturdy, high quality materials". They feature an adjustable headband and cushioned earpads, while the earcups are made from lightweight aluminium. The headphones work with Apple and, at the flick of a switch, Android handsets. Sennehiser is touting them for home and portable use, hence their folding design. Besides the bass-altering dial, the earcups also feature built-in control functions, allowing you to adjust the volume, select tracks and make or take calls with the help of an in-line microphone. The HD 630VB earphones are on Sennheiser's US website with a $550 price tag. In the UK they'll cost £400 when they launch later in the year - an exact month/date is still to be confirmed.